The brochure warns: "Don't talk to the FBI. The FBI is looking for information to use against you, your family and/or your community." It has been posted on the Internet since 1997 by the National Coalition to Protect Political Freedom (NCPPF). The NCPPF says its members oppose "the use of secret evidence to deny bond or deport immigrants, and criminalization of humanitarian or political assistance to organizations because of their alleged connection to so-called foreign terrorist organizations." NCPPF President Sami Al-Arian, a professor at the University of South Florida, sent out an e-mail eight days before the Sept. 11 attacks criticizing President Bush for not dropping the use of secret evidence in terrorist cases. Small wonder: Al-Arian has been a major supporter of terrorist causes. The Fox News Channel's Bill O'Reilley exposed some of Al-Arian's activity, and NBC's Dateline aired a video of the NCPPF leader stating, "Let us damn America. Let us damn Israel. Let us damn their allies until death." Just as the IRA uses Catholic churches from which to raise funds for its terrorist campaign against the United Kingdom, Arab and Muslim terrorist groups such as Hamas, Hezbollah, Islamic Jihad and al-Qaeda use mosques across the United States. Bush calls Hamas "one of the deadliest terrorist organizations in the world today." Arab and Muslim extremists have made a virtual carbon copy of the IRA/ Central-American guerrilla-support system. Now, to help smash the Arab and Muslim terror networks, the FBI needs the help of Arab-Americans and Muslims to root out terrorist-support activities in the mosques. This isn't happening. Instead, many of the best-known Muslim and Arab-American groups actively have opposed cooperation with the FBI — some even after Sept. 11 — and have continued to fight legislation that would make it easier for federal authorities to put terrorists away and prevent future attacks. Even those who endorsed cooperation have not publicly called on their members to become part of the antiterrorism effort. Instead, some spread suspicion and paranoia among Arab and Muslim immigrants, preying on fears of authority in an apparent effort to ensure they would not go to the FBI. "It is now against the law to knowingly give humanitarian, charitable aid to certain foreign organizations, many of them in the Middle East," the National Coalition warned in its anti-FBI brochure — without mentioning that the FBI was interested only in groups that aid and abet terrorist attacks. The brochure sponsor isn't even Muslim. Rather, the NCPPF is a project of a New York-based outfit called the Interreligious Foundation for Community Organizations, founded by New Left activists in the 1960s. It says in its literature that it promotes "political statement, association and due process for immigrants and citizens alike." A closer look, say specialists, shows it to be a support operation for terrorism. Ad Hoc Committee for Imad Hamad, which has been trying to stop the U.S. Immigration and Naturalization Service (INS) from deporting alleged Popular Front for the Liberation of Palestine (PFLP) member Imad Hamad. The PFLP is a Marxist-Leninist Palestinian group that the State Department classifies as a terrorist organization. American Arab Anti-Discrimination Committee in Washington was founded in 1980 by former U.S. senator James Abourezk (D-S.D.). Throughout the 1980s, the committee lent its name to political-support campaigns for Soviet-backed guerrilla organizations around the world from the Palestine Liberation Organization (PLO) and the PFLP to Marxist revolutionaries in Latin America. American Muslim Council and the American Muslim Foundation share the same Washington offices and attempt to enter into mainstream dialogue with Christians and Jews. In reality, the groups' key man, former executive director and current board member Abdurahman Alamoudi, publicly proclaimed in October 2000, "We are all supporters of Hamas. … I am also a supporter of Hezbollah." Basque Congress for Peace is a small New York-based political support committee for the Basque ETA terrorists of Spain. The Center for Constitutional Rights (CCR) was founded by the late attorney William Kunstler in 1966. Kunstler once said, "The thing I'm most interested in is keeping people on the street who will forever alter the character of this society: the revolutionaries." The CCR's annual Docket Reports show that it has litigated on behalf of Philip Agee, a CIA operations officer who defected to Cuba; the Armed Forces of National Liberation (FALN) and Machetero terrorist groups of Puerto Rico; the Weather Underground; Black Panther cop-killers Basheer Hameed and Abdul Majid; letter-bomber Kiko Martinez; and the United Freedom Front, which bombed the U.S. Capitol building in 1983. Committee for Justice for the "L.A. Eight" is a support effort for imprisoned PFLP members whom the United States alleges to have provided "material support to a terrorist organization in conducting its terrorist activities" by raising money for the Marxist-Leninist Palestinian faction. The L.A. Eight also received representation from the American Arab Anti-Discrimination Committee and the Center for Constitutional Rights. Committee for Justice for Nasser Ahmed. 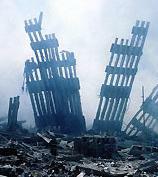 An Egyptian native, Nasser Ahmed invited Sheikh Omar Abdel Rahman to speak at his mosque and became Rahman's legal adviser when the "blind sheik" was arrested, tried and convicted for being behind the 1993 truck-bombing of New York City's World Trade Center. Committee to Support the Revolution in Peru. The "San Francisco Bay Area Progressive Directory" describes the committee as "support[ing] the armed struggle in Peru as led by the Communist Party of Peru (generally known as Sendero Luminoso or Shining Path.)" Council on American Islamic Relations (CAIR), which maintains an active media outreach program to promote its own brand of Islam and recently was cited for solicitation of funds for the Holy Land Foundation, officially cited as a Hamas front. Institute for Policy Studies (IPS) Middle East Project. IPS is a fixture on the Washington Left and long has promoted international groups that wage political violence around the world. A host of support groups for the Provisional Irish Republican Army (IRA) includes Irish-American Families Against Political Deportations; Irish National Caucus; Irish Northern Aid (NORAID), created specifically to fund IRA terrorism; and the Matt Morrison Defense Committee. Muslim Public Affairs Council, a public-policy lobby allied with AMC and CAIR, wrote letters to the U.S. government on behalf of the Holy Land Foundation. National Conference of Black Lawyers (NCBL). "Our mission is to serve as the legal arm of the movement for black liberation," the NCBL says in its literature, adding that it represents "political prisoners in the United States." These are alleged to include Assata Shakur (a cop-killer who broke out of a New Jersey prison and has been living in Cuba since 1986), Mutulu Shakur (serving a 60-year sentence in Marion, Ill., for conspiracy as a Black Liberation Army/Republic of New Afrika terrorist) and Geronimo Pratt (a former Black Panther later convicted of murder but whose conviction was vacated with help from celebrity lawyer Johnnie Cochran and others in 1997).NCBL says it "conducts public education on behalf of many other political prisoners," including Mumia Abu Jamal, on death row for murdering a Philadelphia police officer (see "Washington in Brief," p. 34); and Peltier. National Lawyers Guild (NLG). Long ago cited as the legal bulwark Communist Party, the NLG seems to have outgrown the party but has continued its support for violent revolutionary movements. Beginning in the 1970s it organized in U.S. prisons to recruit what it called "revolutionaries." Since Sept. 11, the American Muslim Council (AMC) has tried to distance itself from the anti-FBI movement. It featured anti-FBI material on the "Secret Evidence" page of its Website until Sept. 27, when it redesigned the site and featured blanket denunciations of terrorism. The date, analysts say, is crucial: AMC and other groups were trying to curry favor with the White House as "victims" of bigoted backlashes to the Sept. 11 attacks and were under fire by conservative groups for two weeks afterward for not urging total cooperation with the FBI. By the second week of October the AMC had repackaged itself as a pro-FBI group, posting a new Website with titles such as, "AMC Held Meeting With the FBI and National Muslim Leaders," and "AMC Urges Muslims to Assist FBI." A closer look shows that AMC still wasn't urging people to help the FBI investigate terrorism in the United States. "The AMC called for this meeting because of the increasing apprehension in the American Muslim and Arab-American communities of individuals becoming victims of racial and ethnic profiling," it said. One of the two FBI agents in the meeting was a civil-rights expert who had nothing to do with fighting terrorism. The AMC called for the FBI to hire more Muslim and Arab agents. AMC board secretary Nedzib Sacirbey told the FBI officials, "We are depending on you for protection. We are concerned about people who receive harassment." FBI Assistant Director of the Washington Field Office Van Harp replied, "If any of the officers behave unprofessionally, I want to know about it." The release titled "AMC Urges Muslims to Assist FBI," dated Sept. 17 but posted in October, appeared after the AMC and other groups again came under fire for cloaking themselves in victim status and not offering to help investigate. However, the statement simply sought "Muslims who are proficient in Farsi or Arabic" as paid translators. There was not a word urging Muslims to help the FBI fight terrorist groups. AMC and other groups were laying the groundwork to cloak themselves as victims and patriots and to denounce their critics as bigots. Under these conditions they lobbied Capitol Hill to carve up the Bush administration's antiterrorism package, urging defeat of the controversial "secret-evidence" provisions that allow Attorney General John Ashcroft to hold terrorist suspects for long periods of time — while teaming up with the ACLU, Americans for Democratic Action, the Center for Constitutional Rights and the Islamic Institute.Even as the Muslim fronts met with the FBI they were raising money for a group that U.S. officials call a major source of cash for Hamas suicide bombers. The AMC has been a tireless supporter of the Holy Land Foundation. So has the CAIR, whose home page prominently featured an icon called "How to Aid Victims of Terrorism." A click on the icon took the viewer straight to the online donation page of the Holy Land Foundation. That icon remained on the CAIR home page until Dec. 4, when federal agents raided HLF offices around the country and impounded its bank accounts. CAIR issued a statement denouncing the U.S. action, but curiously deleted the HLF fund-raising device from its home page at the same time. "The only specific accusation made against HLF has been that among the thousands of Palestinians who received its relief aid were the children of suicide bombers," claimed CAIR. These groups seem to want things both ways. Three days after the Oct. 5 meeting with the FBI, and a day after the U.S. began attacking enemy targets in Afghanistan, the AMC gave unequivocal support to the military operation. While CAIR and other groups in a joint statement said they support Bush's crackdown on terrorism, they criticized U.S. objections to their support for the families of terrorist suicide bombers: "No relief group anywhere in the world should be asked to question hungry orphans about their parents' religious beliefs, political affiliations or legal status. Those questions are not asked of recipients of public assistance whose parents are imprisoned or executed in the United States, and they should not be a litmus test for relief in Palestine."